This is Standard Spoon’s version of the vintage stepped Napier Jigger designed with professional utility in mind. 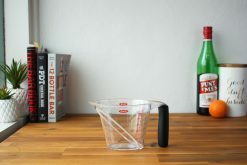 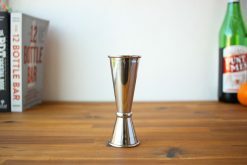 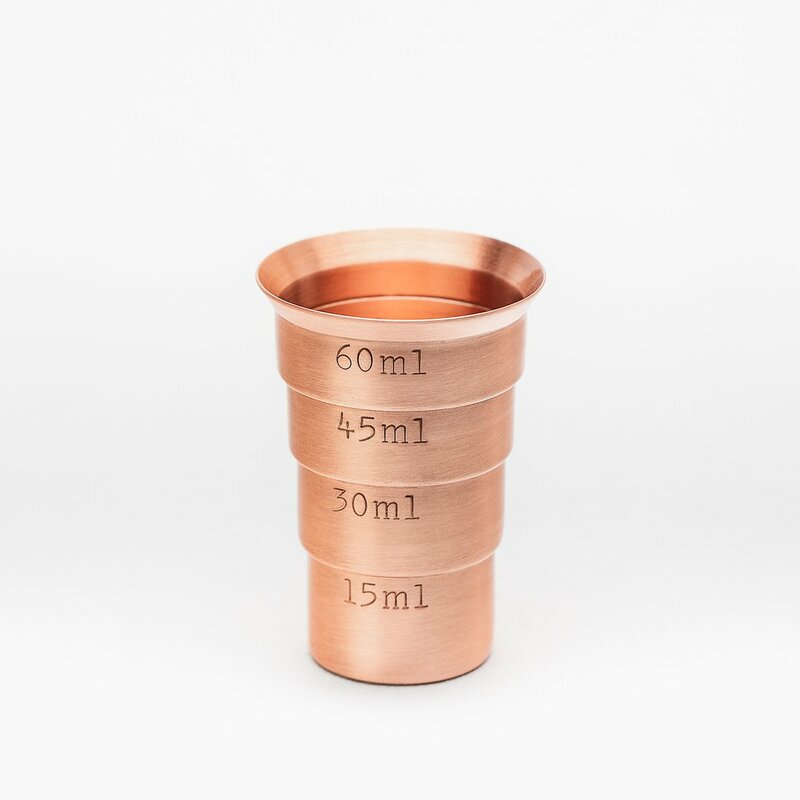 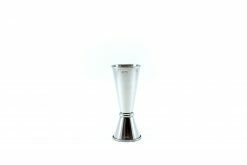 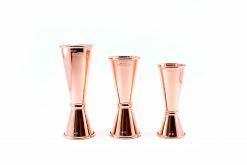 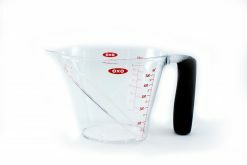 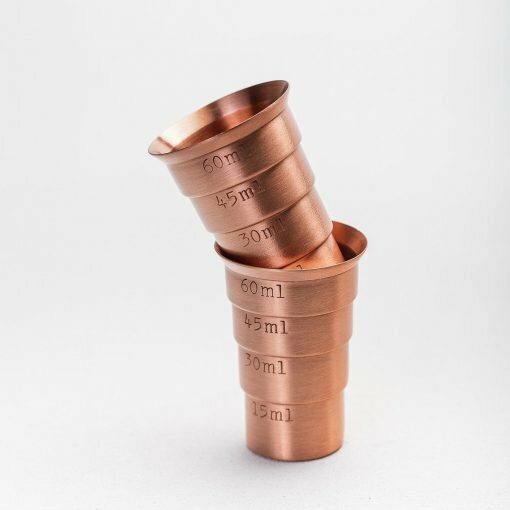 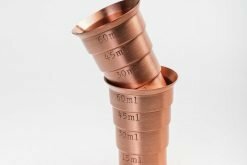 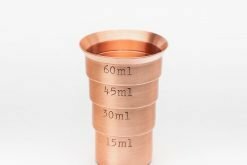 A good jigger should be accurate, account for commonly-used measurements, be easy to read and use, never break, and bring delight and satisfaction to the ritual of cocktail craft. 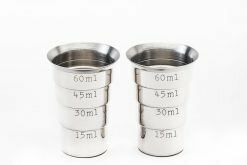 The Industry Napier Jigger is manufactured of one solid piece of metal, will never break, features all commonly used measurements and stacks for maximum space utilization. 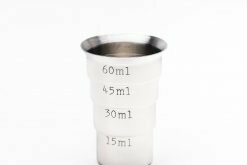 Addition of commonly-used 7.5mL (¼ oz) & 22.5mL (¾ oz) internal markings means you don’t have to guess at those! 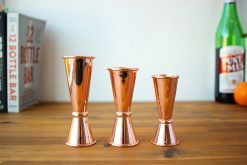 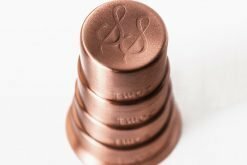 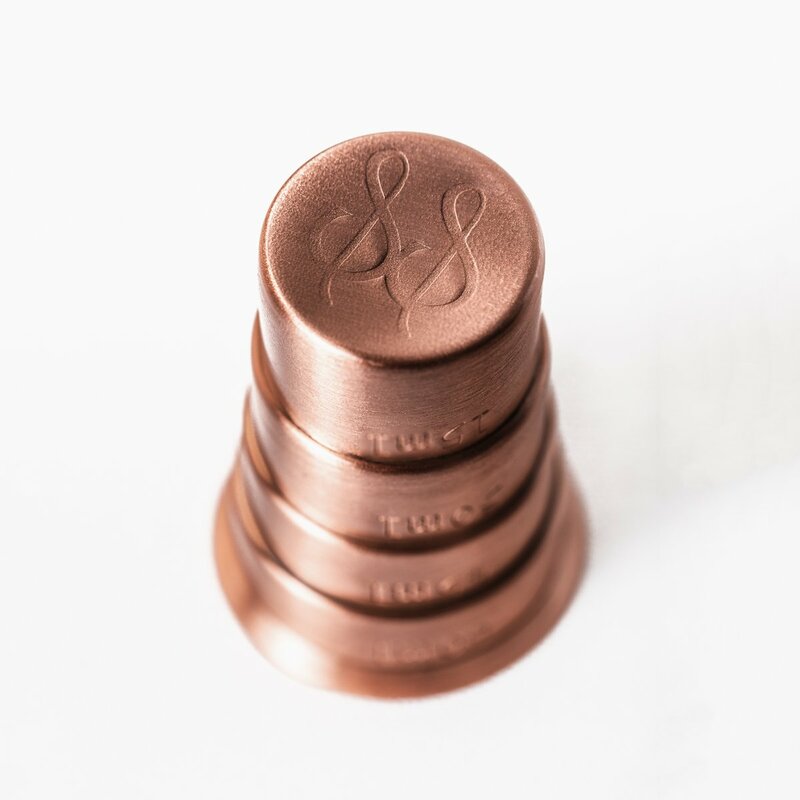 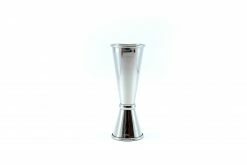 This stepped jigger features a beautiful, polished copper finish. 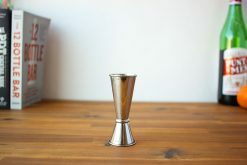 Stainless steel, 2.75” tall x 2” diameter at widest.